Milk & More said the Deutsche Post StreetScooter order aimed to keep milk deliveries quiet and environmentally friendly. FRANKFURT -- German logistics group Deutsche Post DHL Group has won a contract to deliver 200 StreetScooter electric vans to the dairy company Milk & More for the daily delivery of milk to UK households. 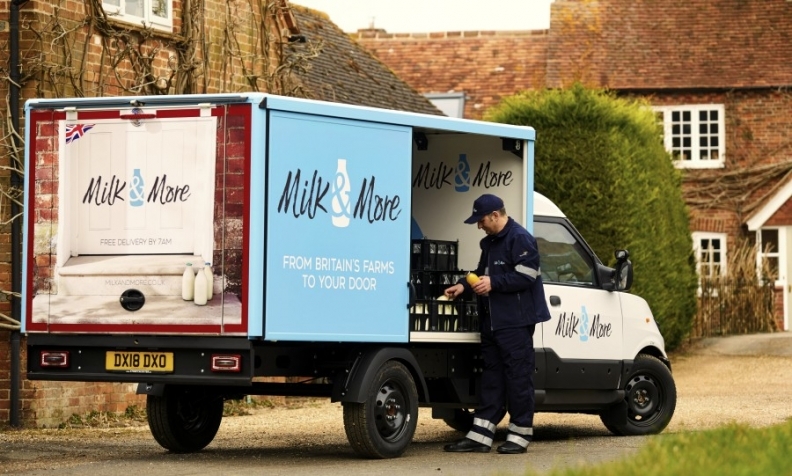 Electric milk floats, as they are known in Britain, have been a part of daily life for generations, with milkmen delivering glass bottles to people's homes every morning. The service has recently regained popularity as public concerns over pollution caused by plastic containers has risen. The company, which is owned by German dairy group Theo Mueller, makes more than 1.5 million deliveries a day to over 500,000 British households, Deutsche Post said on Monday. "We wanted to make this unique tradition relevant again to the requirements of today's customers," Patrick Mueller, managing director of Milk & More, said in a statement. Deutsche Post developed the StreetScooter for its own deliveries after growth in online shopping resulted in increased parcel deliveries. But it has since sought to step up production and sell the vans to other customers. This has fueled expectation for strategic options for the business, which is also benefiting from a regulatory clamp-down on diesel vehicles. Earlier this month, Deutsche Post CEO Frank Appel said it was too early to say whether the group would float part of StreetScooter. The deal with Deutsche Post could face political opposition following the UK’s vote to leave the European Union as there has been increased scrutiny of such deals amid concerns that British companies are losing out. Some politicians were critical when Franco-Dutch company Gemalto rather than Britain's De La Rue recently won the contract to make new UK passports.